A Metro Vancouver woman is speaking out after a cab company failed to pick up her sister without any reason or explanation, recently. Julia Gil Silvestre lives in Burnaby with her family. Her sister Alisa attends Douglas College at the campus in New Westminster. 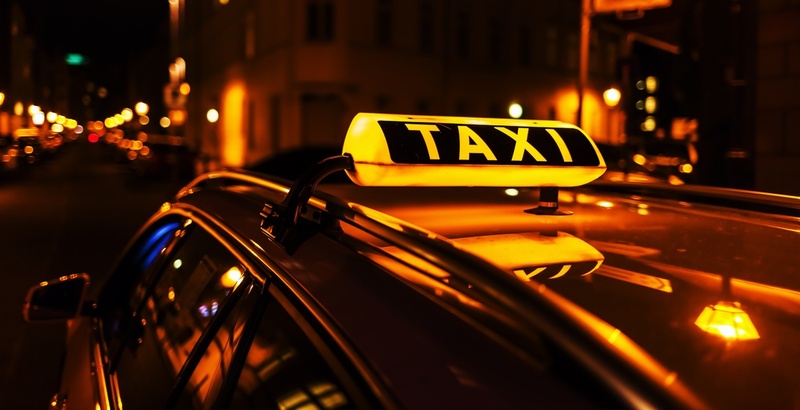 Last week, Alisa called Royal City Taxi to request a ride home from the college campus. She was told it would be a 10-minute wait. But the cab never showed up. Making matters worse, is the fact that Alisa suffers Muscular Dystrophy, and eight years ago, underwent a tracheostomy surgery, “which not only is another daily concern within her life, but also adds to her compromised immune system,” explained Julia. What was supposed to be a 10-minute wait, soon turned into a 45-minute wait, and around the one-hour mark, Alisa, who uses a wheelchair to get around, ultimately decided to take public transit to get home. This is also not the first time this has happened either, she added. Julia also wrote an open letter, venting her frustration with the whole ordeal. On other occasions where Alisa would get picked up, said Julia, she would have to ask the driver to make sure all the straps were properly secured on her chair. “Not only does this compromise her safety but shows how careless this industry and their workers are,” she said. Now, this most recent incident has Julia asking questions, not just about what happened, but about how the industry operates as a whole. She also questions why there aren’t more convenient forms of transportation for people with disabilities. “Why can’t people with disabilities have the freedom to choose when they want to leave their home, instead of having to reserve a spot on the handy-dart days prior?” she asks. Julia said that across the board, she would like all industry players to step up their game to help make ridesharing a quicker reality in the province, and in the meantime, make the taxi industry adhere to better customer service standards. Julia said that following this latest incident, she posted her opinion on Facebook, where she’s received numerous comments of people saying they had been in similar situations. Last November, the BC government announced it would start allowing that rideshare companies to apply for licenses to operate in the province, beginning in the fall of this year. Speaking to Daily Hive at the time, BC’s Transportation Minister Claire Trevena said the reason for the 2019 timeline stems from the fact that ICBC needs to create a specific product for rideshare insurance, as no such product currently exists, and this is the timeframe needed to create one. “Nobody’s going to be on the road until there’s an insurance product that works for them, so as soon as ICBC gets that product in place, we’ll be able to move on that,” she said. Trevena also noted that rideshare drivers will need a BC Class 4 license (the same license required of taxi drivers), instead of the standard-issue Class 5, citing the need for safety. Trevena said she would “love” to see the whole process move faster, but that ICBC’s existing problems and current position leave it with this timeline. “I know all the ride-hailing companies are eager to come to the market,” she said. Still, these words are of small comfort to Julia when it comes to her sister’s ordeal.